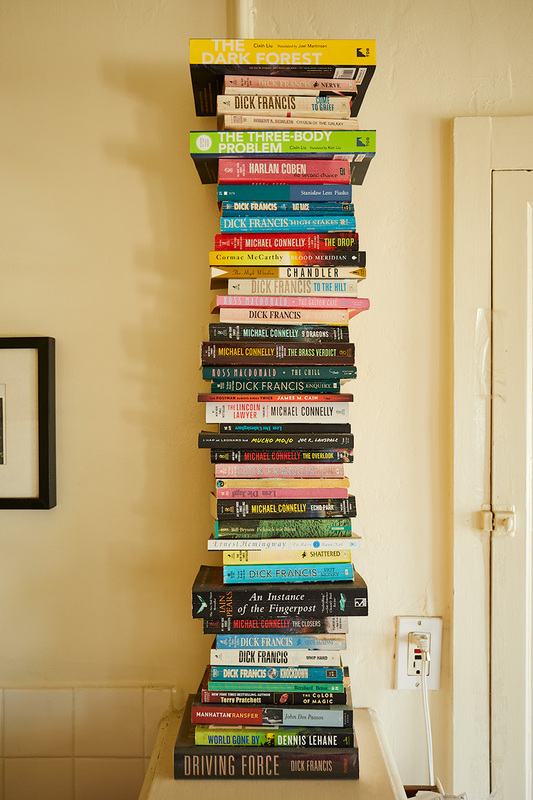 Whenever a book has been read it comes on top of the book tower. Higher and higher it builds, providing better views. But then, one night, an earthquake, one of those small ones we get in California regularly, made it crumple. Now It's becoming a twin tower. Not as high, but earthquake safe.